Pico-On Plus is designed as an on metal RFID tag and offers an exceptional read range of 10 feet for a tag with such a small form factor. The Pico-On Plus is designed to be attached on metal assets where its small size and low profile are very advantageous. • Passive UHF EPC Class 1 Gen 2. • High application temperature range. RFID is steadily, but quietly, becoming a standard method for weapon tracking. When an asset is valuable and access to the asset needs to be restricted or recorded, as they do with weapons, using RFID to help create visibility and accountability makes a lot of sense. 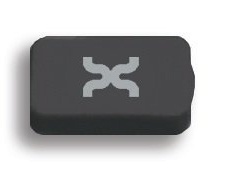 Xerafy’s innovations have changed the price-performance ratio for RFID tags and made it possible for customers to track assets in a wide range of harsh environments. Xerafy provides read-on-metal tags that can be embedded directly into assets to meet a full range of needs for RFID asset tracking in the aerospace, healthcare, data center, industrial, energy and other industries.